In order to be trustworthy as the market leader, you need to act and communicate as such. 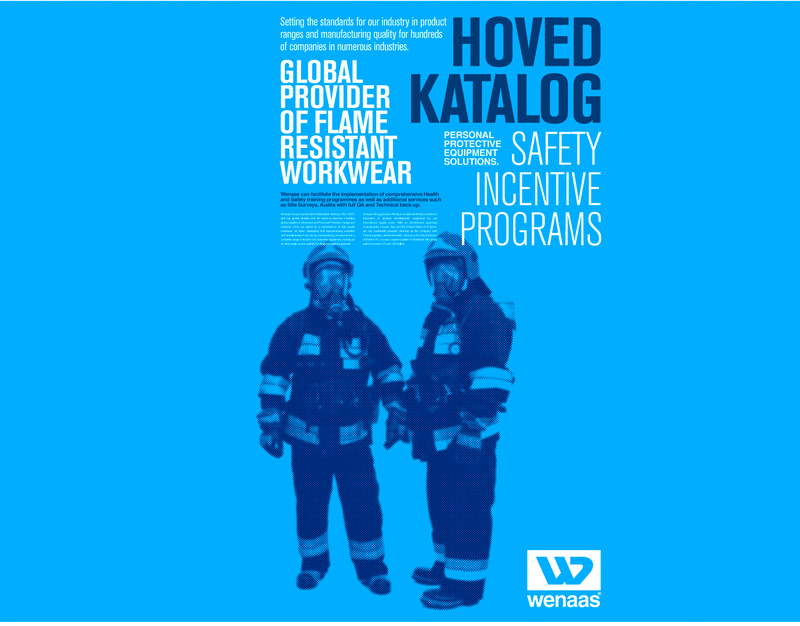 Wenaas is the Norwegian market leader, when it comes to providing innovative and secure work wear to industries such as Oil and Gas, Offshore, Shipping, the fishing industry, builders and construction contractors. 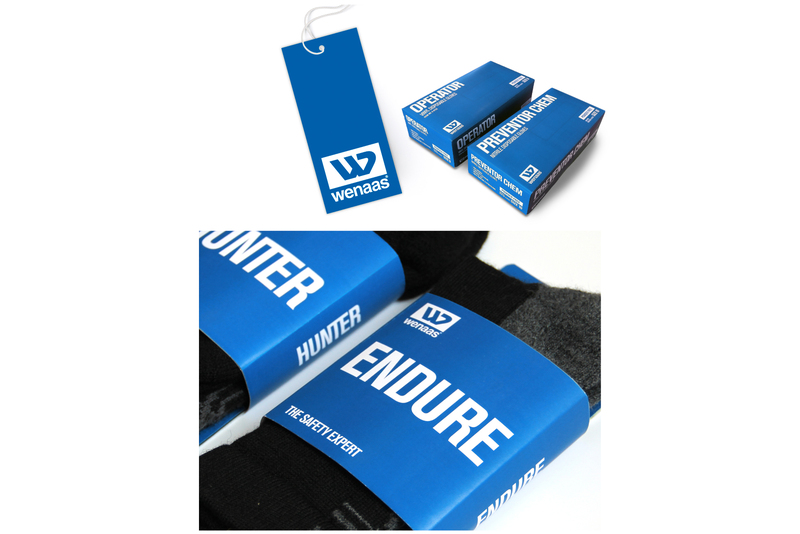 For many years, the main part of Wenaas’ visual identity was just a logo and a blue colour, and the lack of a real identity meant that the brand communicated very inconsistently. Wenaas decided to revitalize their identity and have a one-voice approach. 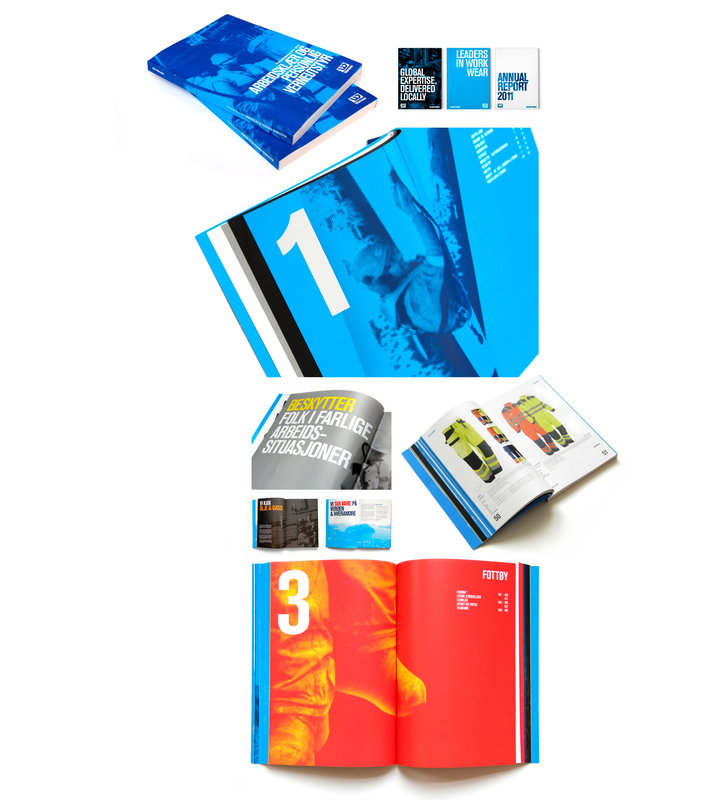 Scandinavian DesignLab was asked to revitalize the Wenaas visual identity and expand the toolbox. The existing logo and the blue colour have a high recognition and a strong reference to the Norwegian heritage, and thus the identity has been revitalized around these, and not completely redesigned. 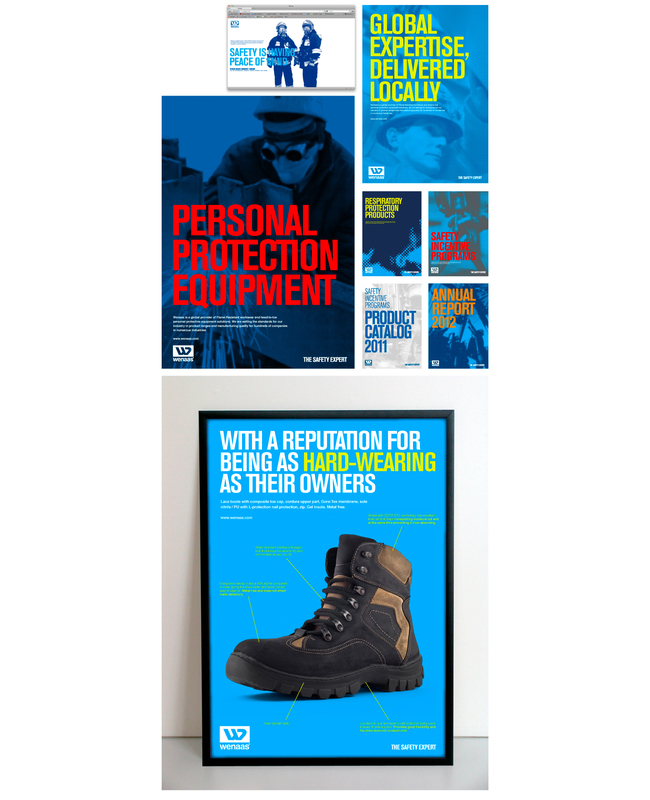 The visual identity for the Wenaas brand stems from the core value proposition; ”The safety expert”, which is based on the fact that Wenaas is a global provider of head-to-toe solutions for people working in hazardous working environments, often under extreme climatic conditions. 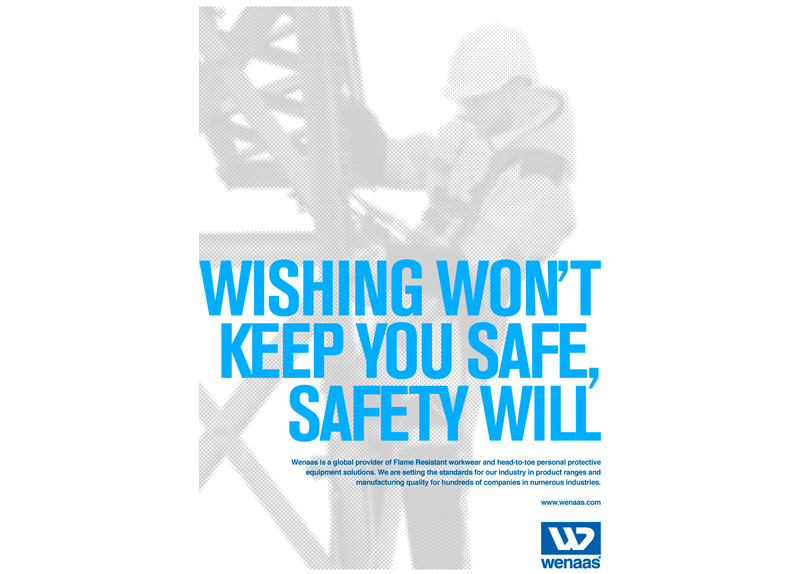 When developing the Wenaas brand identity, we wanted to secure honesty and a close-to-the-action feeling - it is about human beings and their safety. The Look and Feel is documentary, an honest and respectful tone that isn’t glorified. 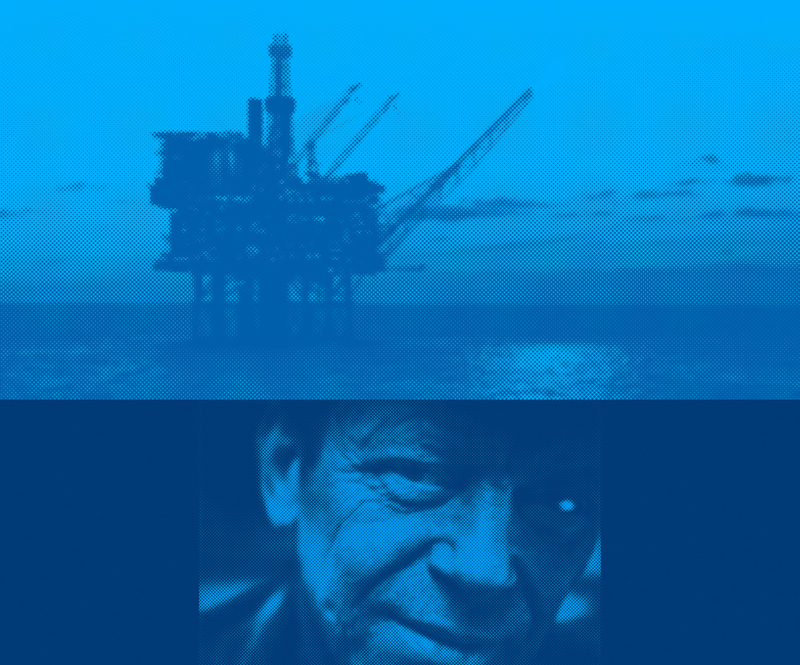 The visual element, which infuses this documentary feeling, is the halftone, halftone pictures often combined with large, bold typography. The concept behind the use of halftone emerged from the documentary style, known from newspapers. The use of a condensed bold typography and large statements is also a big part of the identity and what creates a strong and powerful Wenaas brand.